There is no natural magic pill, potion or lotion to help everyone manage the menopause years, nor is there a ‘One Size Fits All’ approach when striving to achieve maximum health benefits & your optimum weight. We all have unique needs at different phases in our lives, and specific health concerns will need addressing; this is why I offer you the opportunity to customise your experience based on the unique individual needs & results you personally desire. When you finally understand that you can manage your hormones and health there is no better feeling! Control, confidence, freedom and pride, a new vibrance…these are yours to own when you say YES to putting yourself at the top of your to-do list. Your 40s and 50s are a time of endless possibility. At this point in your life, you have more choices about how you live the rest of your life. You can waste lots of energy dwelling in the past, listening to the voices of fear that hold you back, wishing you were ten years younger so you had more time to achieve your dreams, and dreading and/or complaining about menopause. Letting this time define you. Or you can step fully into your vibrance, right here, right now. Take back control, feel confident and be free to live the life you choose. What’s it costing you to NOT address the things you know you should??? If you’re ready to step up and do what it takes to create a more fulfilling—and healthier—life for yourself and you’re tired of putting yourself last, it’s the right time to make the leap and invest in yourself. I’ve personally invested thousands of pounds in coaches, trainers and alternative health care because I knew it was the right thing to do for me. And it’s paid off! I am stronger and healthier than I have ever been! If you want that for yourself too, come in and explore the option that best suits your needs. Via weekly drip fed content, membership of the Vibrant Life Members Area provides you will all the information, tools and strategies you need to manage your menopause as naturally as possible, plus the free bonus opportunity to work through the VIP nutrition programme at your own pace. Personal support, guidance and accountability is available via the private Facebook group. You’ll find everything is designed to ensure your continued success with maximum results. This invitation only, fast-track VIP 10 week programme provides everything you uniquely need to build the strongest foundations for hormone harmony and optimum health through menopause & beyond. Includes lifetime access to the Vibrant Life Membership programme and the additional 1:1 support you personally need to ensure your long-term success. If you are determined to manage menopause, your health and weight then I invite you find out more. 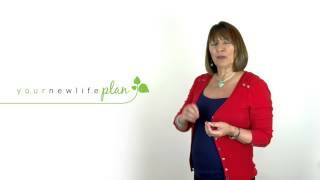 This 60 minute video presentation guides you through the 7 essential steps required to naturally manage your menopause. Working through the Natural Menopause Road Map, at your own pace, you’ll gain an understanding of why each step is so important to you. And embracing the recommendations you’ll very soon start to feel a difference to how you look and feel; reducing or even banishing those unpleasant menopause symptoms. Hot flushes, low mood, sluggish metabolism, poor energy, ageing skin, low energy and vitality, anxiety and depression, disrupted sleep and weight gain (and breathe!) are just a few of the common symptoms that can plague the menopause years. Yet very simple diet and lifestyle changes can make a significant difference to how you look and feel in a very short space of time, providing the foundation stones for a vibrant life free of prescription drugs Beyond Menopause. Prevention of future health problems eg osteoporosis, heart disease, diabetes, obesity, depression potentially requiring a lifetime of medication. Currently available as digital download only.